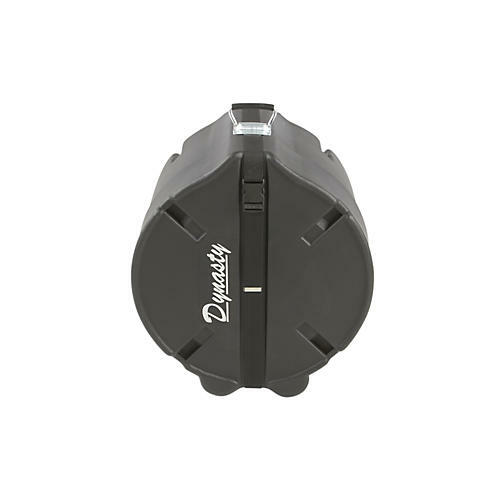 Dynasty logo marching drum cases are made of roto-molded polyethylene plastic. They are tough on the field, under the bus or even take them on the airplane. The snare case is square and can accommodate a 12"x14" marching snare drum.